Snow, rain and cold temperatures didn’t stop us from having a very successful December on the trails! 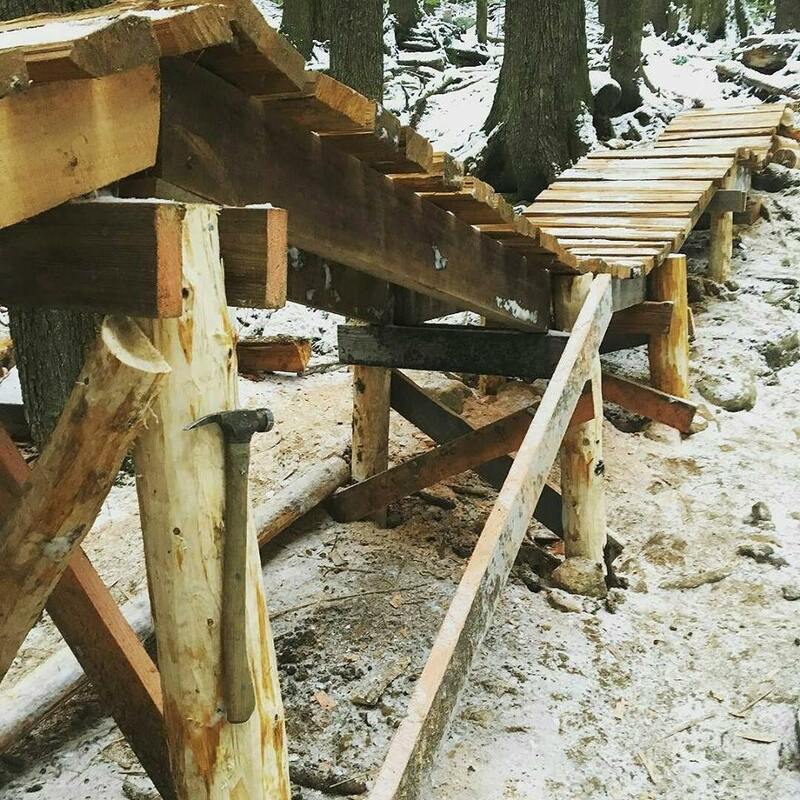 Our builders have been working incredibly hard to keep the trails fresh throughout the winter and completing several projects, notably, the new bridge on Corkscrew! Designed by our lead builder Patrick Podolski, it is now complete and ready to ride! Thank you to our trail crew and all the volunteers who helped make this new feature a reality! We also had several trail days on Fromme and Seymour in December! Thank you to the TAP Sponsors and volunteers who came out to dig! Keep an eye on our events calendar to stay up to date on all upcoming trails days! With CMHC area trails now open for maintenance we are going to have even more trail days this year. We look forward to seeing you out on the trails!